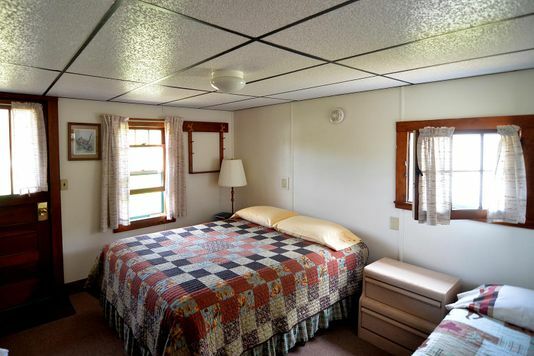 We have two cottages that feature two full-size beds. 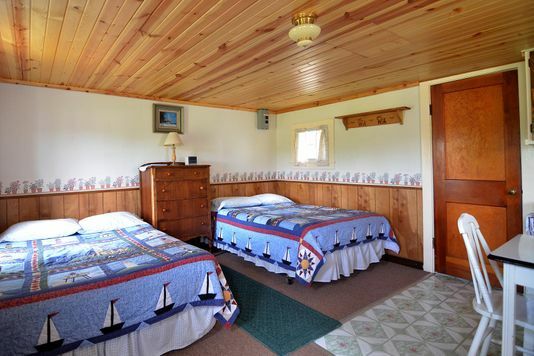 These are single room cottages with the beds on one side and the kitchenette, table, and chair on the other side of the room. The bathroom features a shower, sink, and toilet. A great little cottage for a romantic weekend getaway. We have three cottages with a single-room and a full-size bed. These offer a little more space than our twin bed cottages. Room includes a kitchenette. The bathroom features a shower, sink and toilet. 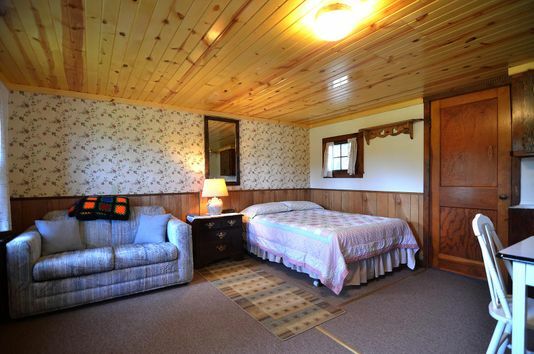 Our largest cottage features two separate rooms. The bedroom has one queen and one full-size bed. The other room has a couch and kitchenette. The bathroom can be accessed from either room and has a shower, sink, small table and toilet. A great cottage for families. 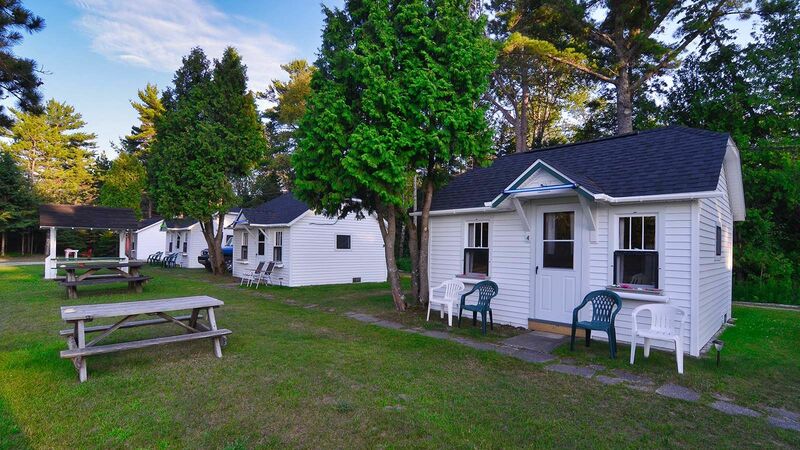 "Your cabins are charming. It reminds me of vacationing when I was a child."